Fair trade is more than a buzz word or a trend. More than ever before you can find products with a fairtrade label in the shelves. These products comply with severe criteria regarding production and marketing. Because fair trade is the way to improve the lives of millions of farmers. If farmers get the chance to market their products for a decent price, they are able to build a better life. The current trade system applies rules which make it impossible to sell products from the South in our western market against a comptetitive price. We are talking about import duties or subsidies aimed at protecting European farmers against cheaper products from the South. This protectionism is a form of unfair competition for farmers of Africa, Asia or Latin America. In our opinion, authorities should use their power tot implement fair rules for the benefit of both consumers and producers. Instead of protecting the mere interests of big companies. Oxfam raises public awareness about unequal trade relations worldwide. The Oxfam volunteers constitute a counter movement of critical people choosing for solidarity and respect. We pressurize politicians and entrepreneurs to take measures for the benefit of marginalized producers, especially in the South. Producers in the South are often in a weak position to negotiate the sales price of their products. They often depend on buyers that are not prepared to pay much and maximize profits for themselves. Whereas Oxfam pays the FLO-fairtrade minimum price for a whole range of products. For a number of food products for which no fairtrade standard exists, Oxfam and the producers mutually agree a fair price. The FLO-fairtrade minimum price takes into account the nature of the labour, delivered efforts and the buying power of the producer. Also regional differences per country and quality grades determine the fairtrade minimum price. This minimum price is an indication. In practice, Fairtrade buyers negotiate a fair price with the producers. They never pay less than the minimum price, sometimes more, especially if the market price is higher than the fairtrade minimum price. On top of the minimum price Oxfam Fair Trade also pays a premium that supports the social and economic development of the entire community. The producers group democratically decides how the premium is spent. Producers cooperatives often build schools, health centers, roads, warehouses or they organise training for their members. In this way Oxfam Fair Trade pays a decent income covering production costs and part of the food, clothes, housing, education or medical care. 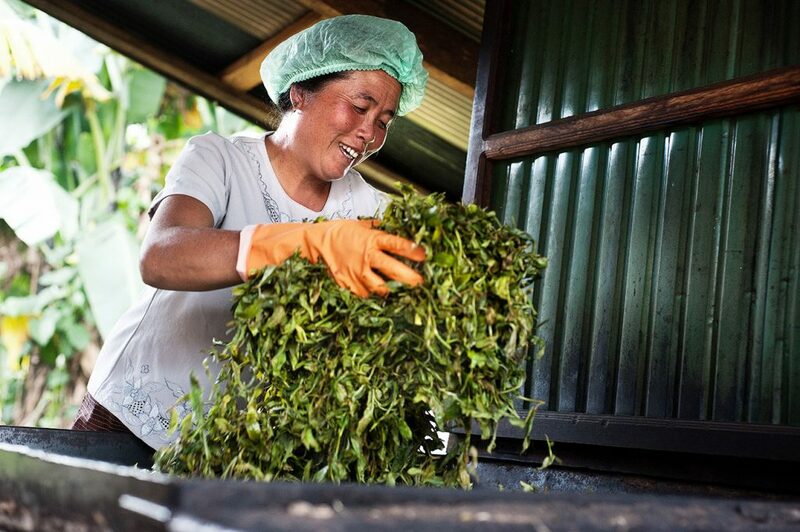 Sometimes producers only sell a limited part of their crop under fairtrade conditions. In this case, fair trade only forms a small part of the family income. In this respect fair trade cannot guarantee a decent income, but the more a producer sells to Fairtrade organisations, the better his income will be. Oxfam Fair Trade buys products directly from producers organisations that have a fairtrade certificate. In some cases the purchase and/or export happens through an intermediate buyer. 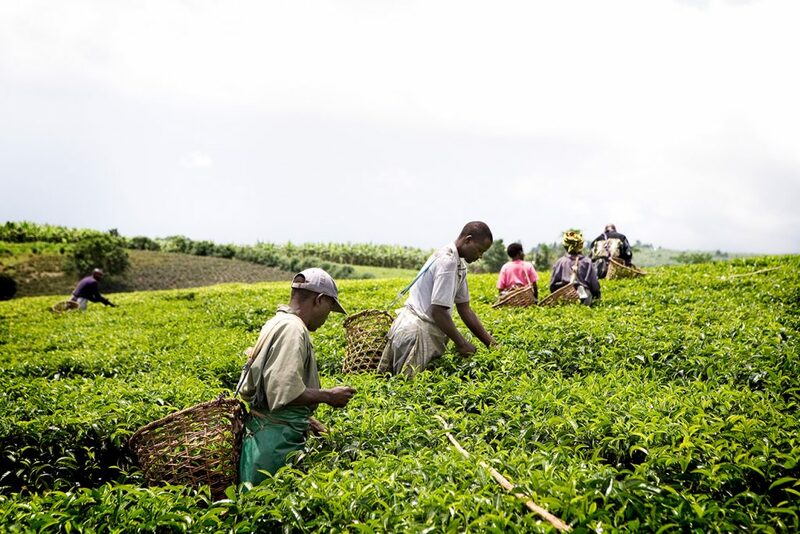 This can be an organisation which covers and supports various producers groups, or a socially responsible company that purchases raw materials and processes them to a finished product ready for export (e.f. packed tea). Sometimes Oxfam Fair Trade purchases from another (European) Fairtrade organisation which is member of an international umbrella organisation like IFAT, FLO or EFTA. They guarantee that the purchase will be done as directly as possible and 100 % according to the principles of Fair Trade. The food items of Oxfam Fair Trade often carry the fairtrade label of Fairtrade Belgium. Apart from this all our products are screened and approved by external certification bodies. The support and advice are aimed directly to poor or marginalised producers working in democratically managed organisations (mostly cooperatives) and to producers who cooperate with socially responsible companies, thus having an impact on regional development. Oxfam pays attention to sustainable ecological development. We treat natural resources in a respectful way. We use energy saving production processes.We look for ecological transport. We choose for efficient and sustainable packaging and waste disposal. Fair trade is not about one single purchase transaction. 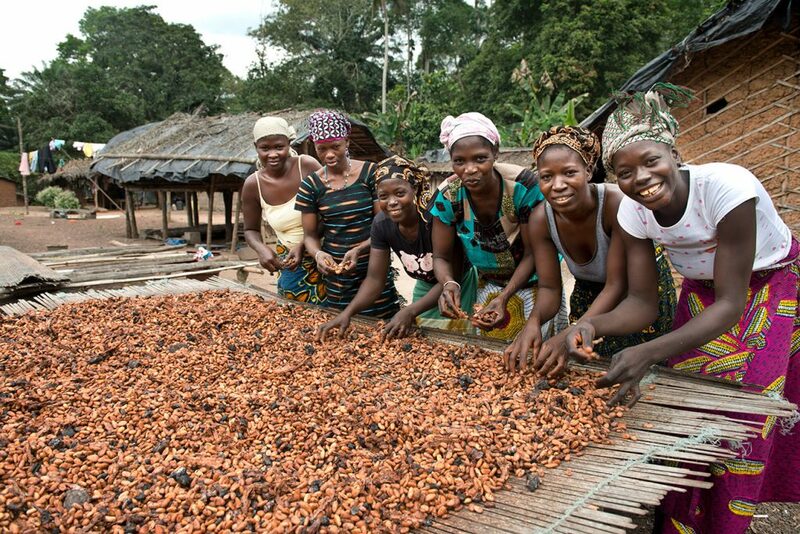 Oxfam Fair Trade offers producers structural market access and guarantees a long-term relationship. nten een structurele markttoegang en garandeert hen een langetermijnrelatie. In this way producers have certain basis to plan in the long run, to improve their knowledge, and market position an to develop themselves in a sustainable way.